The “Let Us Walk Together! Project” has created an English blog. 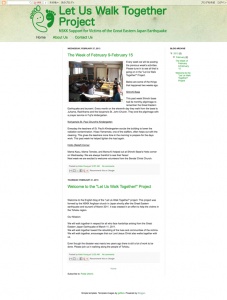 Please visit letuswalktogether.blogspot.com every week to see the various activities that are happening in the project. Copyright © 2012 the Nippon Sei Ko Kai All Rights Reserved.